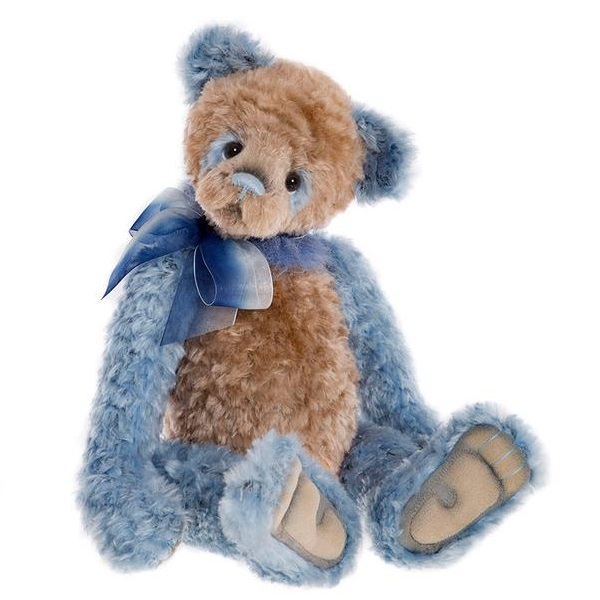 This colourful panda is made of cheerful powder blue and and soft beige, wavy plush with a long pile, fluffy plush collar, and wears a two-tone, blue organza ribbon. 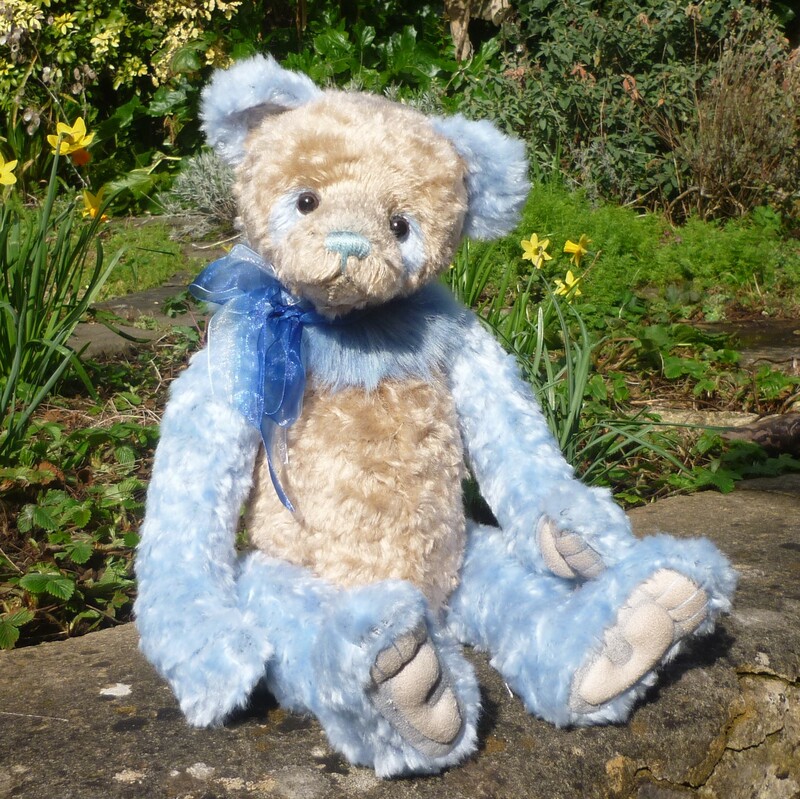 He has white felt discs behind his brown and black eyes, and a pale blue stitched nose to match his stitch-sculpted paw pads. Fully jointed.